It’s official: Melania Trump will soon join her husband in the White House. The first lady and the couple’s 11-year-old son Barron are expected to move this summer from New York City to Washington, D.C., a White House source confirmed to People. It has been previously reported that FLOTUS wanted Barron to finish his academic year at the Columbia Grammar and Preparatory School, and then they would move to the White House soon after. When they finally relocate to the White House, Barron will become the first son of a president to live in the historic residence in more than 50 years. The only other boy to live at the White House in the last few decades was John F. Kennedy, Jr. during his father’s administration, between 1961 and 1963. The move will likely help appease those who have criticized the first lady because of how expensive it is to protect the two while they’re living in Trump Tower. New York City Police Commissioner James O’Neill said in late February that their security costs the city of New York between $127,000 and $145,000 per day. 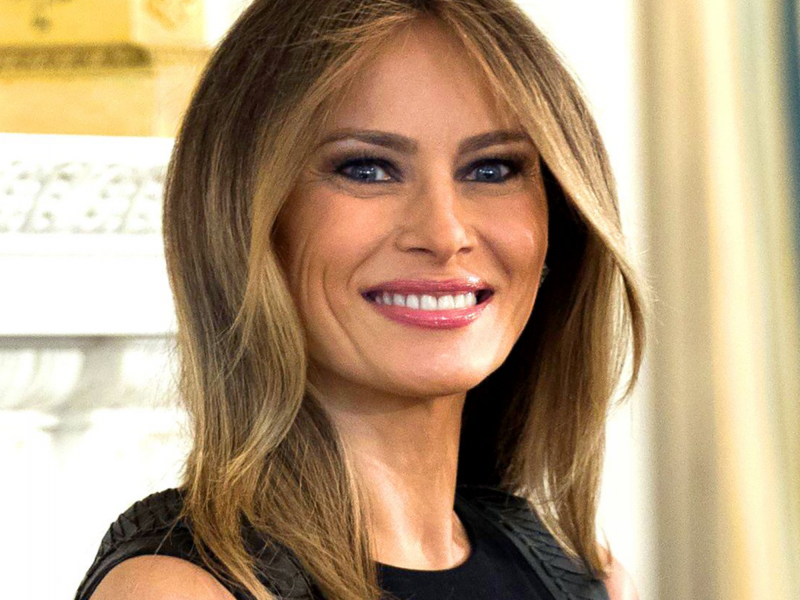 There’s even a Change.org petition asking the first lady to either move to the White House or pay the exorbitant costs of her security detail herself, which has over 544,000 signatures. But even when FLOTUS and their son join Donald Trump in D.C., it will still be really expensive to protect the first family whenever they travel to their penthouse in New York. The NYPD said the cost of police protection while POTUS is in town averaged about $308,000 per day. Trump hasn’t visited New York City since assuming office in late January, choosing instead to frequently fly to Mar-A-Lago, his private club in Palm Beach, FL. But once the weather in Florida gets hotter, he is expected to spend more time traveling to New York City to spend time at Trump Tower, according to CNN. STALLONE, SCHWARZENEGGER, AND THE HELLS ANGEL: QUIEN ES MAS MACHO? The Complete PETER PILOTTO for Target LookBook is Here!